The company has taken several of these apps down, including “Real Racing” and “Dead Space”. Electronic Arts (EA), the mobile games publisher, has now taken down a dozen mobile games from online marketplaces such as Google Play and from iTunes, without having given any prior public warning that these options would no longer be available. This has arrived as quite the surprise to many players who had still been enjoying these titles. The common belief is that the mobile games published by EA have been of exceptionally high quality and these titles were among the better options that had been available. Some players have responded with disappointment that these titles have been taken down. Some of the higher quality app titles that have been removed from the online stores have included “Flight Control,” “Dead Space,” Real Racing,” “Burnout Crash,” “Mass Effect Infiltrator,” and “Bejeweled 2”. Two of the more popular mobile games from that list have been “Real Racing” and “Flight Control”. Those popular game apps were among the more surprising removals by EA. The reason is that they have been popular and were considered by many people to be among the mobile gaming opportunities that established devices such as tablets and smartphones as legitimate platforms for players. As there hadn’t been any announcement made by EA to warn the public, fans of those games have been quite disappointed as they were not provided with the opportunity to prepare for the removal. Beyond the disappointment is a general surprise felt by many as the games were taken down regardless of their high quality and the lengthy lists of positive reviews that they have received. Still, there remain a number of mobile games that EA has continued to support, such as “EA Sports UFC Mobile,” and “The Simpsons: Tapped Out”. Each of those popular titles can still be downloaded as usual and the regular updates for those options appear to be continuing on without interruption. Some early reports have suggested that the games were taken down as a result of the most recent update to iOS 9 and because – as popular and high quality as they may have been – they might not have been earning very much money for EA. 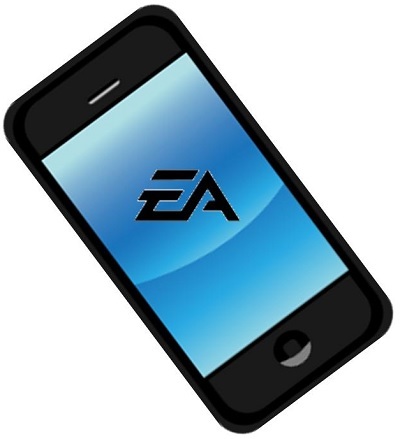 Electronic Arts CFO says today’s mobile gamers expect games to be free. Blake Jorgensen, chief financial offer at Electronic Arts (EA), has said that paid mobile games, those that require the player to pay a fee to download the app, are gradually disappearing and eventually all games are likely to be free to download because that is what the consumer wants. A free mobile gaming experience is the future of EA. According to Jorgensen, who spoke during the recent Wedbush 2014 Transformational Technology Managements Access Conference in New York, the renowned gaming company is likely not to add many more paid titles to its mobile gaming portfolio. The future will be all about free-to-play mobile games for EA. Jorgensen said, “I think paid downloads will probably go away. That business is very small for us now.” He went on to say that consumers are aware that they can expand their gaming experience when and if they choose by paying to access more features in the game or they can still enjoy playing for free. However, he said that he believes the upfront downloading cost is likely to disappear slowly. “And it’s fine, because I think the experience for the user is more immersive; they are able to get in and experiment with titles,” he added. Discoverability is the hardest part for developers of mobile games. One of the greatest challenges of mobile app development, specifically for mobile game developers, is having their app discovered. There are thousands of games available for download on Google Play and iTunes. With so much competition, it is hard for developers to make their game stand out from the crowd. As a result, discoverability can often be what costs the most. That being said, EA does have the upper hand over other mobile gaming companies. This is mostly due to the fact that they are already well established in the gaming industry and have a collection of popular franchises such as The Sims, The Simpsons, and several EA Sports titles. 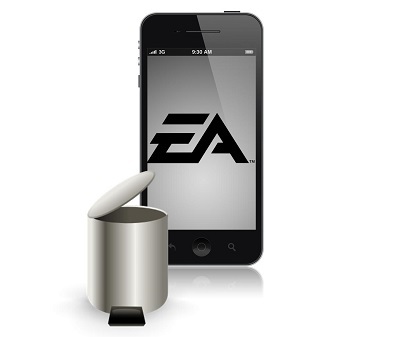 Electronic Arts is finding success in the mobile space. Currently, they have more than 130 million active users every month. Jorgenson said that, only including the fiscal year 2014, players have downloaded 600 million EA mobile games. Most of the games installed were free and he suspects this trend will only increase in the years to come.